HistoricalNovels.info have an interview with Carola Dunn, author of the Daisy Dalrymple mystery series! 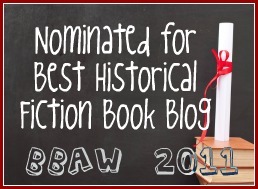 Arleigh from Historical-Fiction.com has given her site a facelift and it looks great! She is also giving away a copy of Matthew Pearl's The Last Dickens. The contest is open worldwide, which us international HF lovers like a lot! I really love it when one of my favourite authors interview another of my favourite authors! This time it is Sharon Kay Penman interviewing Michelle Moran about her new book, Cleopatra's Daughter. Speaking of Cleopatra's Daugher, Creative Madness is giving away a copy, along with an authentic Roman coin. You can see all the details here.